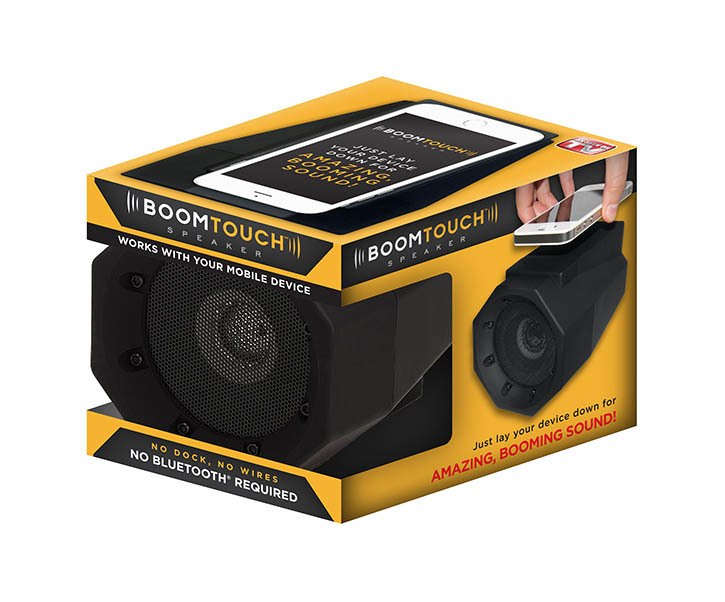 BoomTouch™ Speaker lets you play amplified music with NO docks, NO wires, and NO Bluetooth® connection! ‘MAGNETIC FIELD INDUCTION’ technology allows BoomTouch™ to play music by just laying your device on top of the speaker for amazing booming sound! Compatible with any device* with an external speaker. Requires 3 AA batteries (not included). Just lay your device down for amazing, booming sound!